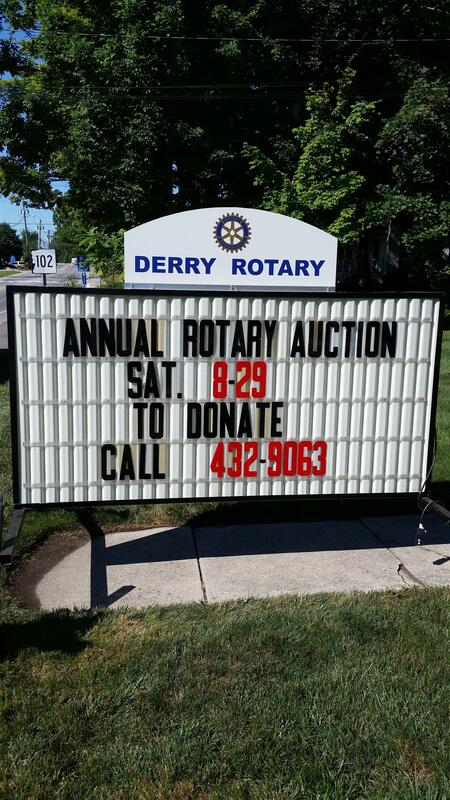 The Derry Rotary Club will hold our annual auction on Saturday, August 29th in the parking lot of Fireye on Tsienneto Rd. in Derry. We will have new items, used items, gift certificates, etc. 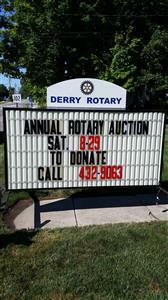 for auction, as well as a yard sale area. Please contact 603-432-9063 to donate.